Malcolm Young was the driving force behind one of the most recognisable and iconic rock bands ever - AC/DC. I remember going to boarding school when I was 13 and making friends with a fellow boarder named James. He was an absolute fan of AC/DC and his dorm room had pictures of the band and Angus Young adorning every available inch of wall space. 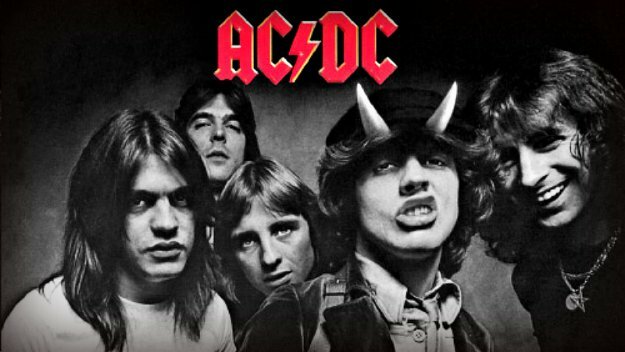 Up until that point I didn't know who Angus Young, Bon Scott, Malcolm Young, & Phil Rudd were. Needless to say after I started learning guitar a couple of months later I would commit to learning many AC/DC songs and subsequently played Back in Black at my first ever battle of the bands in Napier, New Zealand in 1990. As the years passed I learned more and more AC/DC songs and as I write this I could probably play about 7 or 8 songs without needing to rehearse at all. I know smatterings of probably at least another 15 and can sing along with many more. But I digress, let's get back to Malcolm Young. As a riffologist there probably are few if any that come up to Young's level. His unerring, driving, faultless rhythm combined with his uncanny ability to write extremely memorable, catchy yet not overly difficult riffs enabled AC/DC to rise above the masses of hard rock/blues-based bands from the 1970s right up until today. Thanks for the music Malcom. The first band I was in back in high school. We played 'Back in Black' & 'Wonderful tonight' just before this picture was taken at the 1990 Napier Battle of the Bands.